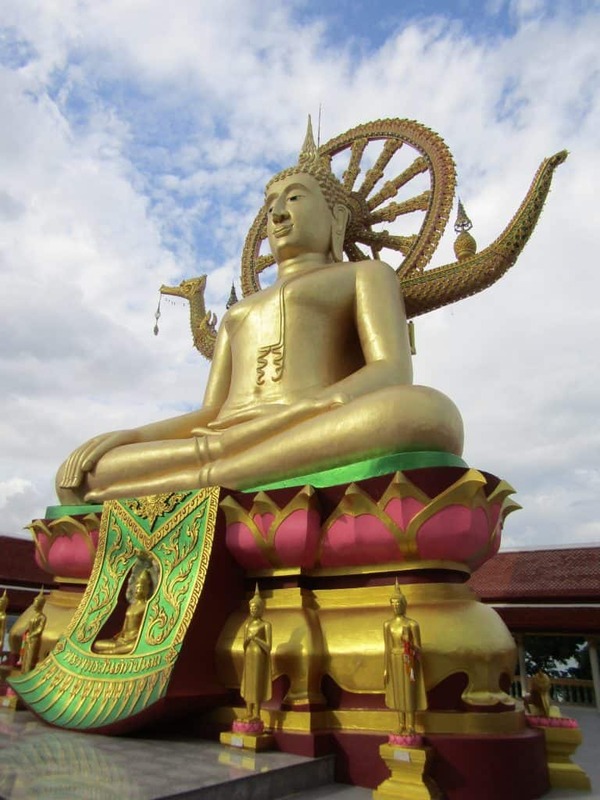 Community post by Jane ~ Koh Samui, Thailand’s second largest island is a hugely popular destination and rightly so. 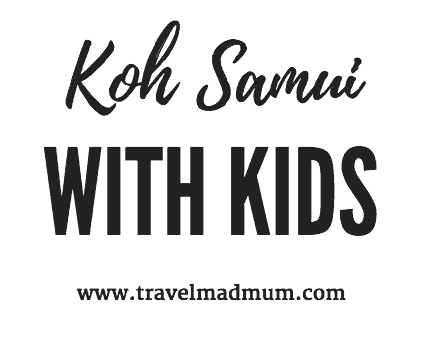 Highly accessible, the beautiful beaches and Thai hospitality is what makes it so famous and easy to travel to Koh Samui with kids. It is more expensive to fly into Koh Samui than other islands hence the ferry is very popular. 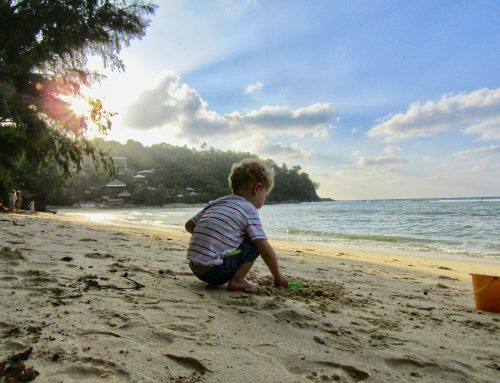 With over 1 million visitors a year, Koh Samui has all the amenities you could want when travelling with little ones. On the whole you could incorporate Koh Samui into a bigger Thailand itinerary. 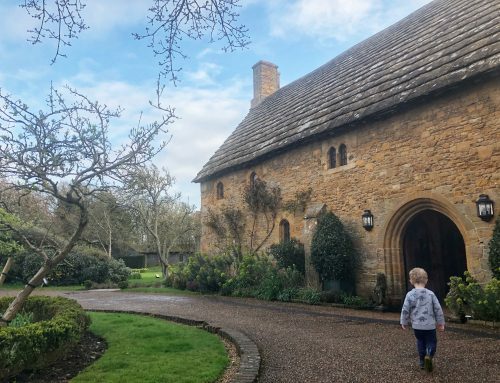 I visited in December with my husband and very nearly 2 year old son and tried out three different kinds of accommodation. 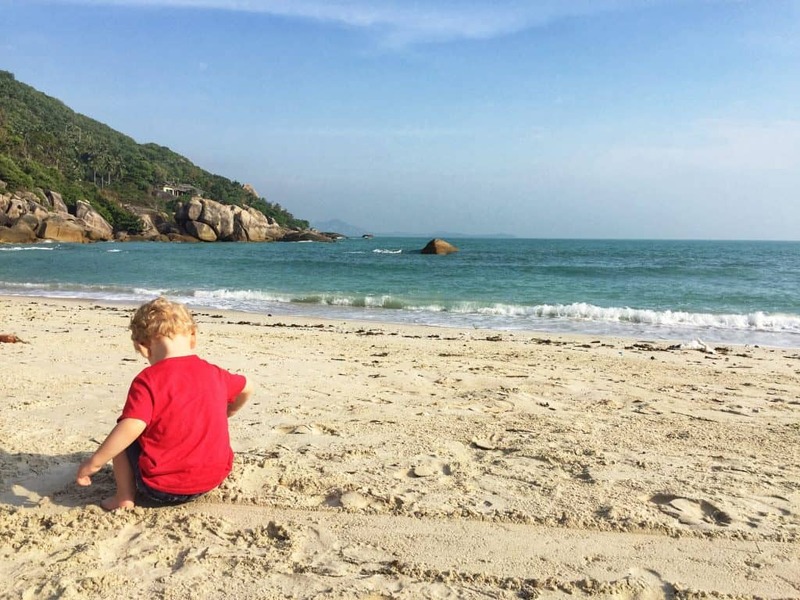 Here is our guide to Koh Samui with kids in the usual play, sleep and eat format. My son was perfectly happy to spend hours on the beach, digging and building castles. However, we did have the odd overcast day so we hired a car and ventured inland. We headed to Secret Buddha Garden, also known as Magic garden, to explore. 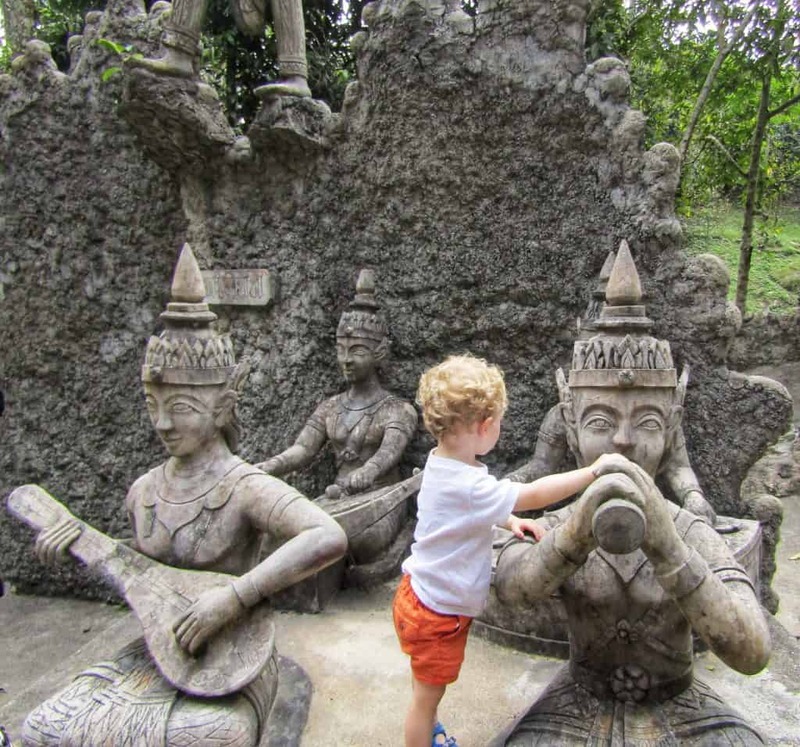 Set up in the 1970’s by a savvy farmer on redundant land, Secret Buddha Garden is a great place for kids to explore. Set in lush rain forest, high in the hills, there are many little houses and sculptures to wander around and discover. We spent an hour there, climbing around the site and playing in the river. A tour group turned up when we were there and it got quite crowded, so I would recommend going there independently. The tour group were also limited to 20 minutes so it wasn’t long before they moved on. We had the place to ourselves the majority of the time, which was amazing. As it is up in the hills and shaded, it did seem cooler which was perfect to explore. On a recommendation, we checked out Paradise Park really close to the Secret Buddha Garden. It sells itself as a mountain retreat, with the option of getting close to a variety of animals. However, I was really disappointed to see that many of the animals were chained, or being constantly manhandled for photo opportunities. There were many signs saying the animals are well cared for and regularly seen by a vet. However, I I have to question why a flock of pigeons are multicoloured for photo opportunities? There are also a number of places in Koh Samui that offer elephant riding. Please be aware, this is a really cruel attraction and no tourist should participate in it. Elephants are beaten into submission over time, carrying humans on their backs for tourist pleasure and selfies. Unfortunately this is all too common in Thailand. There are endless accommodation options on Koh Samui, ranging from the super cheap beach huts, up to the very plush 5* resorts. I spent just over a week on Koh Samui and sampled three very different options. We stayed in a 4* hotel and an individual self catering pool villa. Situated just 2km from the airport, Novotel Samui Resort is a beautiful beach front property, ideally suited to families. The resort is bisected by the main road, having hills to one side and beach to the other. We stayed in one of their deluxe family rooms close to the beach which I would highly recommend. Our room was huge, with a large balcony overlooking the gardens. The pool and restaurants are right next to the beach so the views are admired from everywhere. Not to mention our balcony where we also had sea views. The hotel is to the north of the main Cheweng centre which is really nice. Over the years, Cheweng has been developed significantly, so being a little way out from the bars/clubs was great for us as a young family. The centre of Cheweng was only a 15 minute walk along the beach when we fancied a stroll . We spent a lot of time around the pool to keep Bruno cool. The smaller, shallow area is in the shade and water only came up to his waist. The food was perfect for our fussy eater, there was a kids menu which he happily worked his way through during our stay. We decided we also wanted to spend a few nights in Bophut because it’s so close to two large temples. 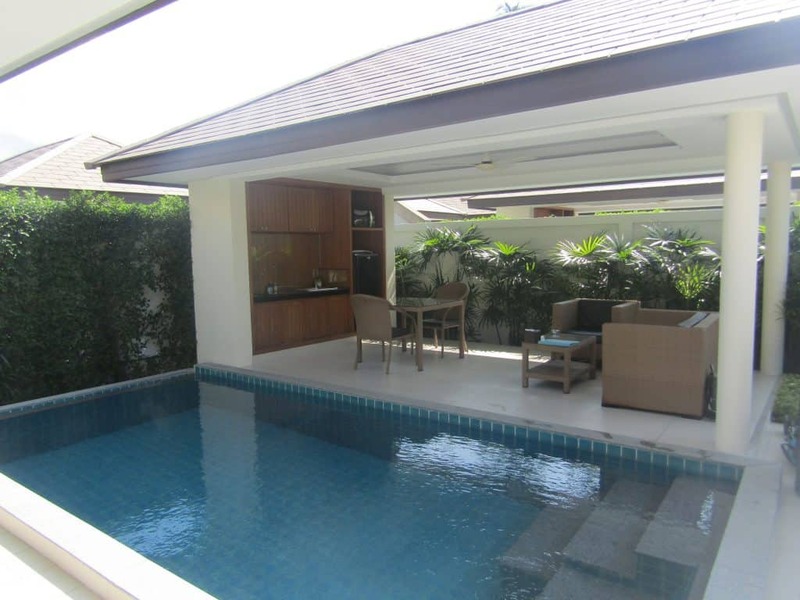 The Samui Boat Lagoon villas were a great option as they offered privacy and our own pool. 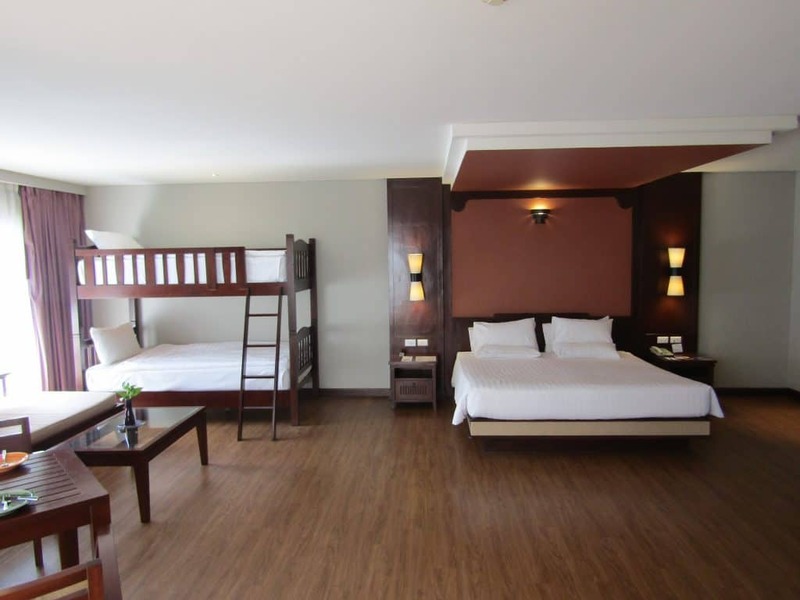 We had a one bed villa which has a large bedroom, bathroom, air conditioning, outdoor living and kitchen area. A very large communal pool was right next to main reception which my husband used for lap swimming. There is no restaurant on site but that doesn’t matter as there are loads of great restaurants right outside. They also provided a delivery service to our villa when we didn’t want to venture out. A 5 minute walk is Wat Plai Laem, a beautiful temple with plenty of areas to explore. You do have to walk along the road to get there, but we went early and the traffic was light. My son Bruno was fascinated by the buildings and statues, he was in total awe of all the colours. We spent an hour looking around and exploring, I would highly recommend it. 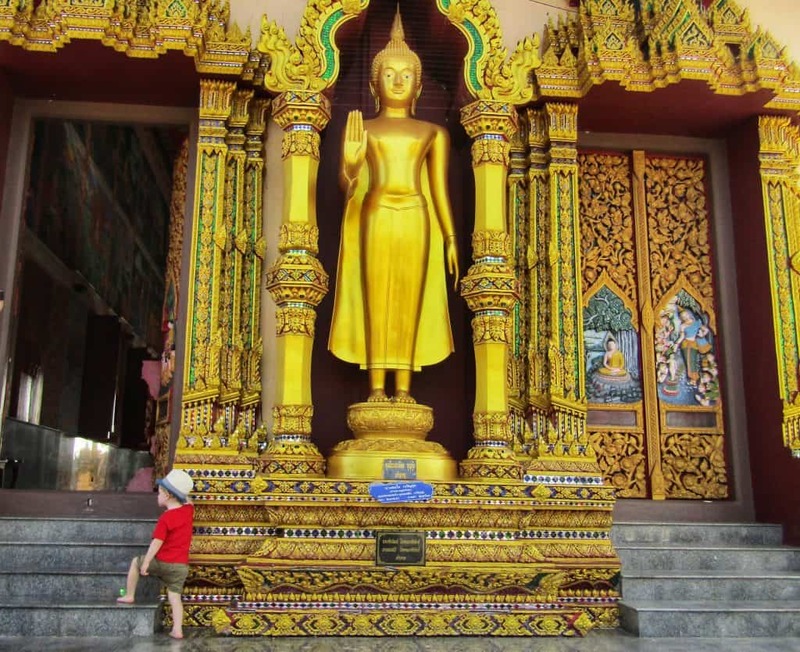 A bit further along the road is Big Buddah, a huge Buddha statue at the colourful Phra Yai temple complex. There are quite a few steps up to the temple, however, my son loved the challenge! If you are in the area or passing, I would suggest you check it out. The views from the top are stunning. 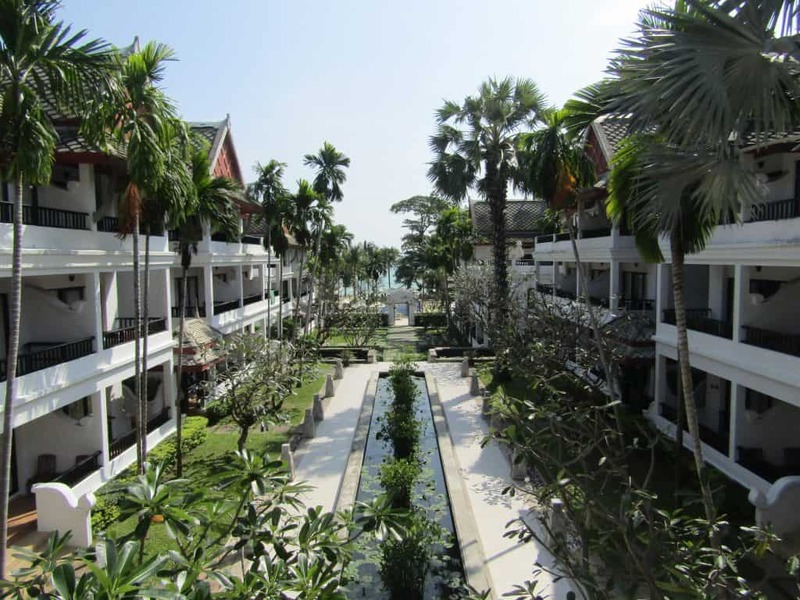 We all really enjoyed staying at Samui Boat Lagoon, it felt like a home. Bruno had the space to enjoy some activities from his Keep Em Quiet bag. It’s so lovely to see him delve into it throughout our trip and find something new to do. We specified that Bruno had a love of tractors and dinosaurs and they didn’t disappoint. We we had a night flight from the UK, it didn’t get use then. It was a bonus for grey days or a break from the pool. To get your Keep Em Quiet bag, click here. 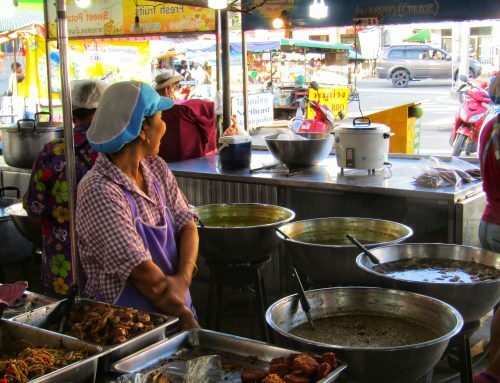 Thailand is well known for offering great food. Pretty much every establishment we ate at served up delicious food at a good price. There were a some stand out places though which I have to mention. 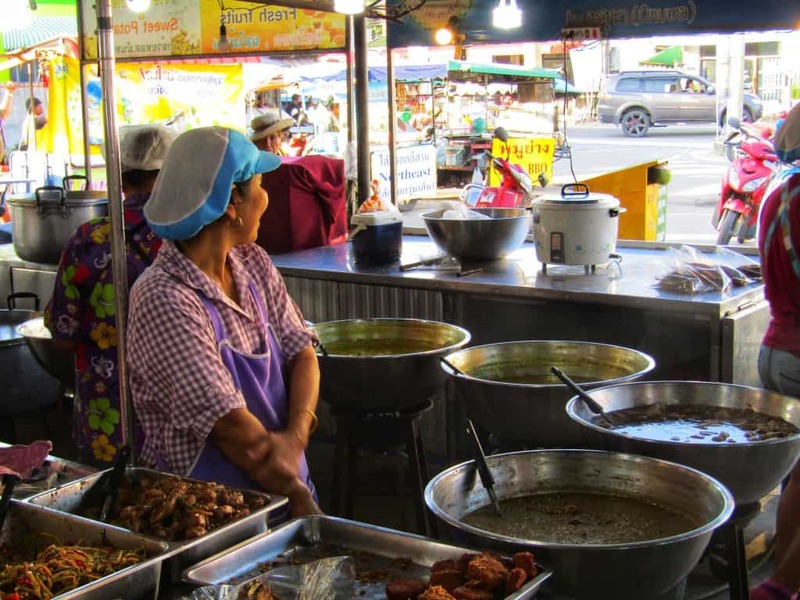 We ate at Lamai fresh food market a few times, as it was such a wonderful experience. We could watch the dishes being made in front of us and it was incredibly cheap. I had no worries about cleanliness or hygiene because it was packed with tourists and locals alike. This is a great place to take kids as there is something to suit everyone. My son Bruno was particularly fond of their pancakes! If you are staying at Samui Boat Lagoon, or anywhere near in Bohput, ‘Stop at Sopa‘ is a great option. 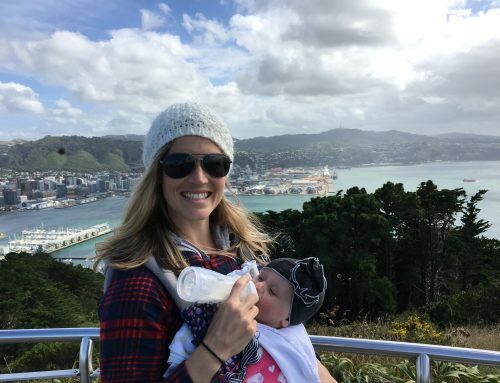 They were happy to deliver straight to our villa which was amazing, as it meant my husband and I could enjoy a nice meal after my son had gone down to sleep. We ate at Crystal Bay Beach Club after exploring the island and had the best curry during our entire Thai trip. They had an extensive kids menu which was much appreciated by our pizza loving boy. You pay a slight premium for the location, but the beach is absolutely stunning. See below! If you would like exclusive access to blog posts before they are published, you can sign up to our Patron program here. What is a patron you may ask? In this digital age there is a demand for immediate information online. Being a patron is a new-age way of giving a small token of appreciation for this information, which takes time to put together with no financial return. 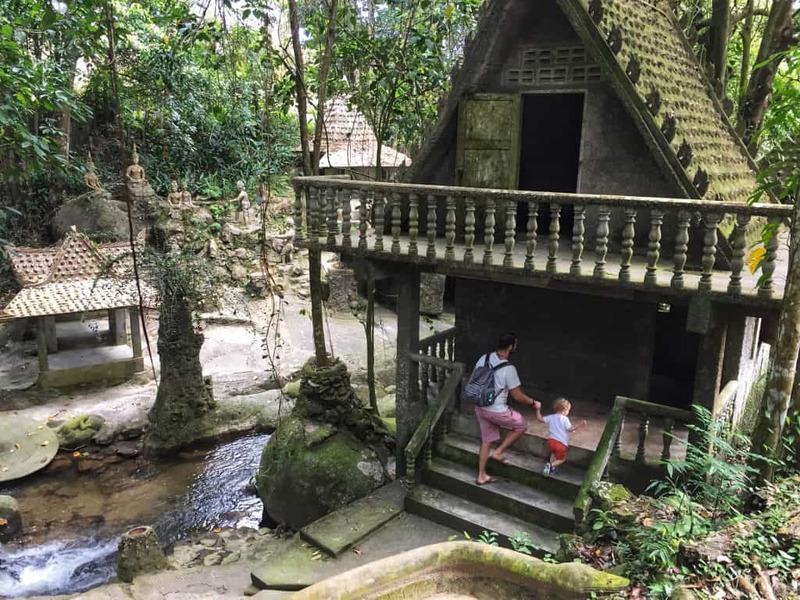 Are you visiting nearby VIetnam with kids? Disclaimer: This post has affiliate links. We stayed at Novotel complimentary in return for a written review. . As always all views expressed our entirely my own. 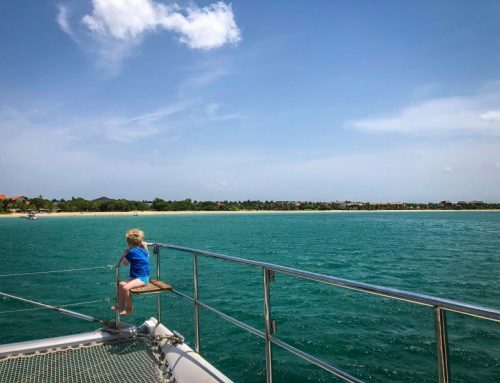 HI Jane, I am planning to go to Koh Samui in Oct this year with my 21 month old and I must say the Samui Boat Lagoon looks like an awesome hotel, but I would be very worried about my son falling into the private pool if we take our eyes off him for a second. How did you manage that part? 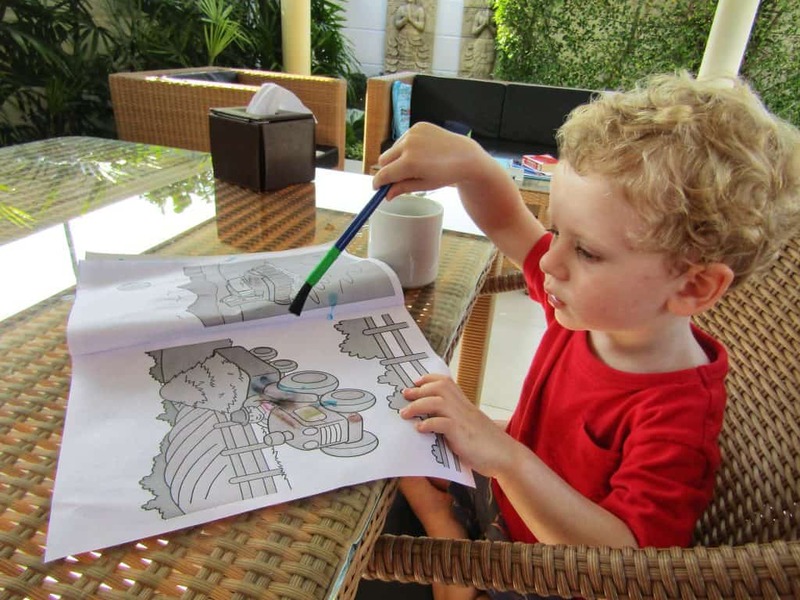 We love the Amari in Samui with our kids?. Thanks for the recommendation Seanna, I will have a look!